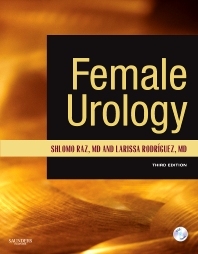 Completely reorganized and updated, the 3rd Edition of this best-selling reference presents comprehensive coverage of all aspects of female urology, making it easy to implement today’s best approaches for every patient, both surgical and non-surgical. A bonus DVD includes video clips of surgical procedures to further enhance your surgical repertoire. Offers step-by-step, highly illustrated guidance on diagnosing and managing the full range of female urologic problems you encounter in practice.